Infrared contact lenses are specialized in reading the marks on the back of playing cards while human eyes cannot see, top quality cheap price for sale in our poker shop. They can be used in poker magic show or playing card games, to see infrared marked cards and invisible ink for playing cards. Infrared contact lenses are successfully developed by Golden Sunshine Entertainment Products Limited in 1979. Top quality infrared contact lenses, you can see the ink under the natural light (bulb light) you can see the surrounding environment and marks clearly, and also you can see them on the condition of energy saving lamp or other color light. 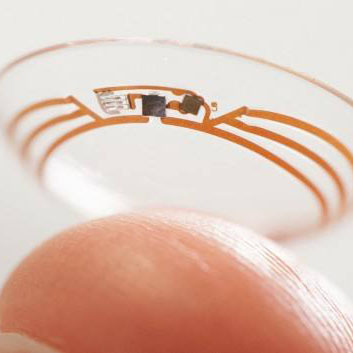 The information we talk about is the real meaning infrared contact lenses poker that use to see marked deck of cards. With the development of technology, now have many kinds of magic tricks with marked cards. In daily life, the most we call playing cards contact lenses for infrared ink are IR contact lenses, for luminous invisible kit can be read by infrared contact lenses. The most convenient way to distinguish IR and UV is to see what kind of marked cards poker reader you use. If you use the back marks playing cards with infrared ink, then you must work with infrared contact lenses poker. This is a good question for all card game fans which is still quite magical to know the secret of it. Do you know rainbow? Our infrared contact lenses were made by principles of optics to see marked magic cards. Our technology staffs filter one of infrared optical band, in order to produce special contact lenses poker. 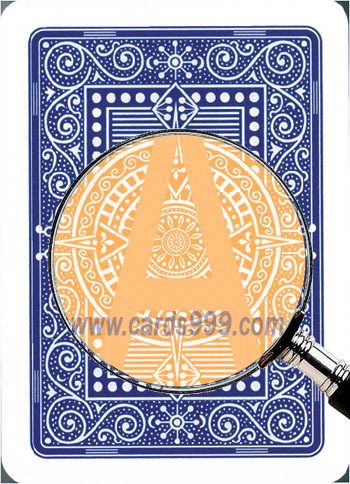 We use luminous invisible ink to mark cards, let the image (invisible marks) of marked cards to be seen by poker contact lenses, and also luminous ink glasses that can see uv ink. According to the requirements of different people from different places all over the world, a group of chemist and technical staffs are dedicated in developing various types of infrared contact lenses. Without infrared contact lenses, marked poker cards are just look like the normal playing cards; you cannot see anything on the back of poker cheating cards. With the sophisticated laser dyeing technology, our online marked cards manufacturer has already solved the problem of eyes automatically focus when the customers wear the small dyed circle contact lenses under different light. The newest infrared contact lenses for all colors of eyes will not change your eyes' color and can see the marks very clearly. When you wear these luminous ink contact lenses, you feel comfortable. Do you know the using way of infrared contact lenses for magic marked deck? Do you have the experience to wear this marked cards reader kit? Have you ever used infrared contact lenses to see the invisible ink marks? Do you want to know how to use the infrared ink contact lenses for poker? It is quite easy to people to use infrared contact lenses, just need to put them on the eyes and make sure the dyed circle can cover human eyes pupil. Is it easy? Yes, you can see the infrared card marking with these magic infrared contact lenses in such simple way. People also have doubt that how to use them well, here we can give some tips. 1. Every time before you use infrared contact lenses, please use the contact lenses care solution to wash them about 1-2 minutes. The contact lenses care solution can be bought in the pharmacy and supermarket, or somewhere sell prescription contact lenses. 2. Infrared contact lenses eye drops should be used every 2 hours, in order to keep the comfortable of eyes and reach the best perspective effect to see marked decks. 3. While you don’t need to use the infrared contact lenses, please store them into the purified water that can be drunk. 4. At the very first time to wear infrared contact lenses, you should extend your wearing time gradually, it is not a good way to wear it for the whole day at the first time. It is because that the corneas could not get used to the environment of the mechanical stimulation of the lenses and the Hypoxic metabolic. 5. Please keep the luminous ink contact lenses in clear water instead of contact lenses care solution, because they will harm the infrared lenses. In addition, the temperature should be less than 25 degree. We are the best poker online suppliers with infrared contact lenses for sale. According to different customers' need, they can choose different kinds of infrared contact lenses which can see the marks much more clearly than the surrounding environment. Advanced version poker contact lenses are the best choice for people with brown and black eyes. These infrared contact lenses will not change your eyes' original color, but your eyes' color will be a little bit darker than before. How can people with blue green or grey eyes to choose the suitable infrared contact lenses? Professional contact lenses are suitable for some professional poker players who are worried very much about to change their eyes’ color a little bit, here we can also call omnipotent contact lenses. Since this kind of infrared marked cards contact lenses only cover the pupil of people’ s eyes, so they will not change the color and appearance of your eyes. With this poker lenses that can see invisible ink for all colors of eyes, people can see the marking cards very clearly. By adopting the newest high technology, these infrared contact lenses avoid the traditional problem of pupil auto focus under different light. Of course, the price for these special luminous ink contact lenses is higher than the normal brown eyes’ spy invisible playing cards contact lenses. However, If you do not care about changing the color of your eyes, you can buy the poker cheating lenses specially for brown and black eyes. Anyway, with these infrared contact lenses, you can also see the marks very clearly. We also have another kind of infrared contact lenses for sale which can see the outside environment clearly, but may see marked poker cards not as clearly as the brown eyes poker contact lenses that we mentioned before. The price is cheap. If people who want to buy the cheap price infrared contact lenses can also contact us, we can meet all our clients' requirements.